FOX has renewed THE ORVILLE, the space adventure series created by and starring Seth MacFarlane, for a second season, it was announced today by Michael Thorn, President, Entertainment, Fox Broadcasting Company. In tonight’s all-new episode of THE ORVILLE, “Into the Fold,” airing 9:00-10:00 PM ET/PT, on FOX, Ed (MacFarlane) and the crew set out to save Dr. Finn (Penny Johnson Jerald), her two sons (guest stars Kai Wener and BJ Tanner) and Isaac (Mark Jackson) after their shuttle gets thrown into uncharted space and they crash-land on a moon that is light years from The Orville. 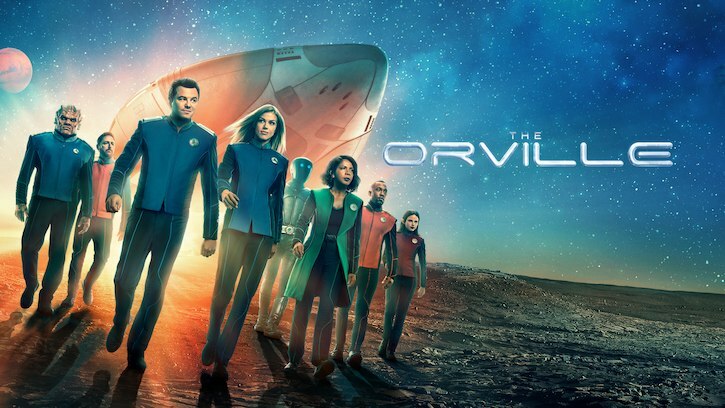 With more than 14 million viewers across platforms, THE ORVILLE’s series premiere marks FOX’s most watched and highest-rated series launch since the 2015 debut of EMPIRE. THE ORVILLE ranks among the Top Three new dramas of the Fall season, averaging a 2.5/9 Live + 7 Day rating, a +67% lift from Live + Same Day, and more than 10 million multi-platform viewers, +108% vs. Live + Same Day.